Other Such Happenings: friday night is all about fun fun fun! My fabulously fun Friday night began with a delicious chicken salad that my kids did not want to touch, smell or look at. It was a tough act to follow. We managed to keep our spirits high with several rousing rounds of Uno. I am proud of my boys for maintaining their cheerful dispositions in spite of being trampled by the Queen-of-Cards. Then I dug out ornaments that I bought in *cough* 2007 *cough* and printed out pictures to put in them. I propped the ornaments on the couch that matches the blue chair to take this picture. I fell in love with the design of the fabric, even though it is questionable to have a mostly white piece of furniture in my house. Oh my, we are really getting wild and crazy now! I must remember that this blog is rated G/PG-ish. Since I had my printer hooked up to my laptop and all, I tweaked a very orange photo and made it presentable. I think this picture turned out very well, don't you? What a blessing to have these photos. God already knew how precious they would be to me down the road. To top off my Friday night, nothing beats cutting coupons! I do enjoy the mindlessness of it. It's relaxing in a strange sort of way, kinda like typing... the clickety-clack of the keys makes me feel serene. So how is your weekend? Wild and crazy or plain-family-friendly-yet-fulfilling like mine? 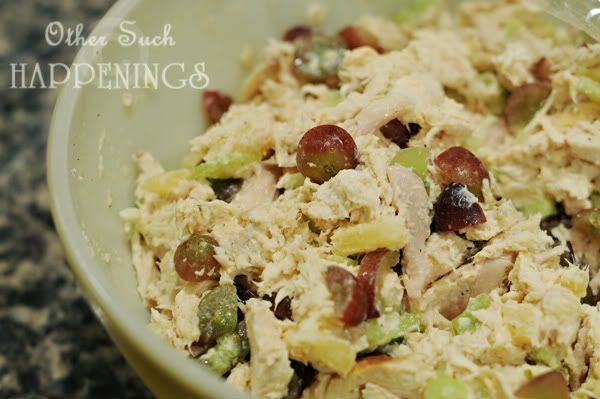 The chicken salad looks delicious! YUM! Not much going on for us here this weekend. Watching Caden tomorrow, Sunday and Monday. May go to the state fair if it's still going on. :) Have a fabulous weekend my lovely sister! :* I love you! The weekend has started off slow....Robby had today off (1st in 8 days) so he was extremely lazy. And I assisted him in it. ;) Then we went to Walgreens (where I started some early Christmas shopping) and then to Burger King for dinner. Tomorrow will be filled with college football and playtime with the kiddies. I might be in the boat with the boys, chicken salad looks okay but I have a hard time with fruit in with salady things... unless of course it is a fruit salad! Friday night good! We spent it potluck style with several families from our small group. LOL! Your Friday night sounds oddly similar to mine. 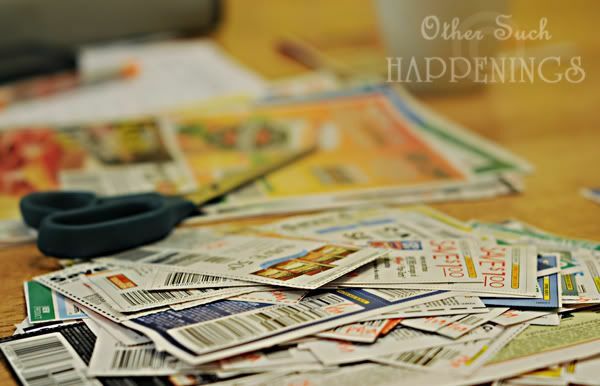 I had to cut out almost two months worth of coupons. I always get mad at myself for waiting so long to do it. It took me about an hour to cut them all out, clean out my binder and then sort them into their proper places. Blah! I also read a book. And ate a cookie. Or two. We have crazy Friday's here too. Last night the kids played with my ipod while I sat down to write my 4th new schedule of our homeschool year :/ Something WILL work. Right? Friday night I visited with my bff (been friends since 1979) today cooking for the week, a little baking, Sunday church and fish fry with friends, Monday, who knows? 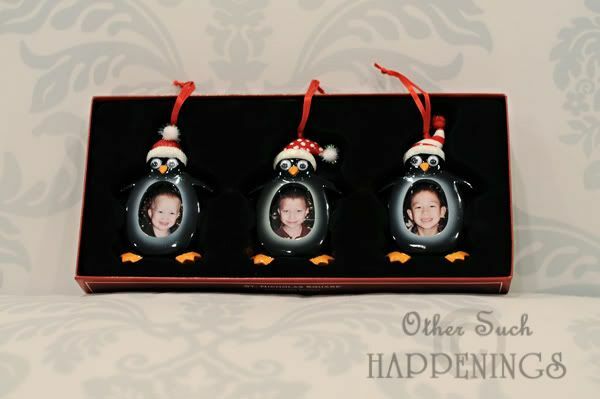 Love the picture and the ornaments! I think the chicken salad looks awesome! It's rough isn't it? The kids not ever being willing to try anything. SO exhausting! 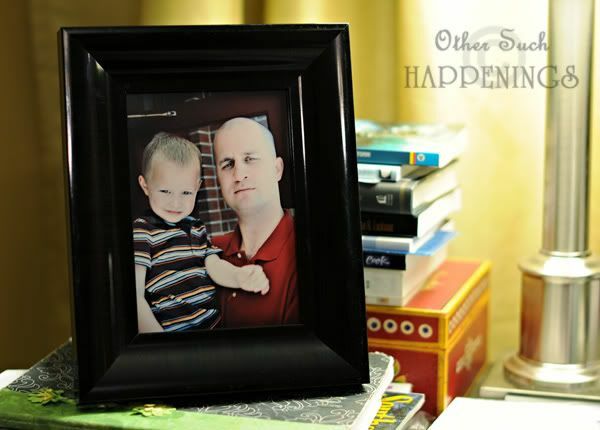 Sweet pic of Christian and his Daddy. I would have SO shared that chicken salad with you! 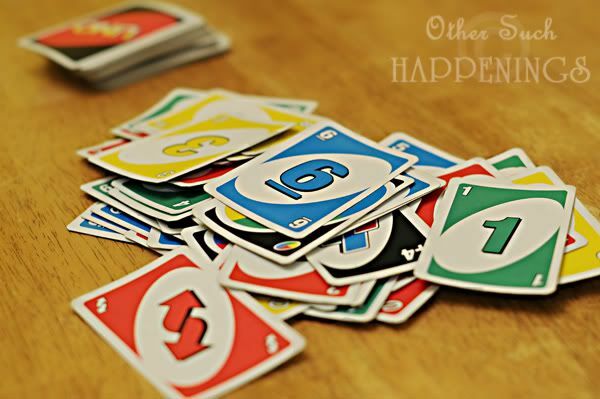 And I'm jealous that you have little munchkins to play Uno with :) We Sterlings are pretty crazy, too: Thai food and Netflix last night, bed before 11, and now sitting in bed with laptops before 9am. I've said it before and I'll say it again: I love being old and married :) Love you, Marshy! Such a sweet pic of Christian with his dad - what a precious thing to treasure and be thankful for. Never apologize for your random thoughts - it just shows you're part-genius to be able to cover so many things simultaneously!!! I have to laugh about the chicken salad because I made a similiar type of salad last week with no grapes but chopped up pecans throughout and a bit of curry for flavor. I thought it was divine, but as for my 5 kids...well, only my 16 year old son said it was good. Today, I told my 11 year old I made him a chicken sandwich for lunch and he made a face while asking me if it was that crunchy kind of chicken! You're supposed to keep score in Uno?! Hmm, yeah, our kids don't know that either... and don't you go telling them. Precious pic of your littlest guy with your biggest guy!